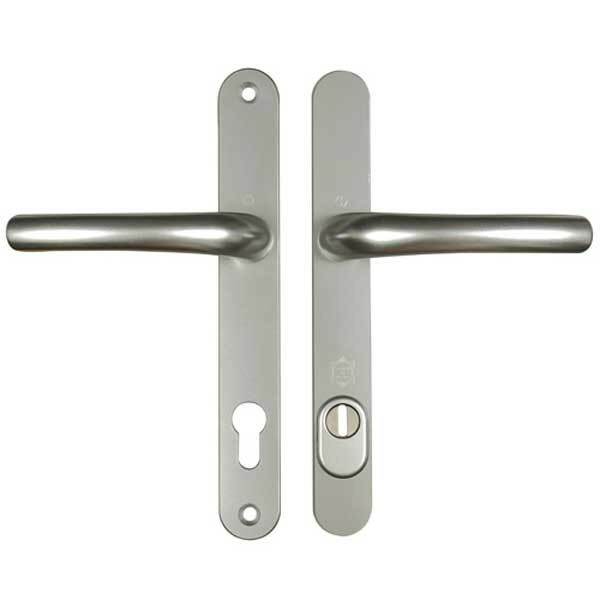 The Hoppe PAS24 Security handles comes with a single security bolt that joins the outside handle to the inside handle that is ONLY suitable for a 70mm thick door. This bolt cannot be easily cut down. Order separately an appropriate length security bolt for doors shorter than 70mm. Operation: Unsprung Lever Lever. Supplied with 8mm spindle and 2 screws, not suitable for use with unsprung lockcases. Supplied as a non handed pair.